- Function:Power Switch, Volume Bottons, Silent / Mute Switch,Flex Cable. - Compatible with iPad 3 iPad 4 4th, Size: 205*165mm/8.07*6.5inch. - Replacement your broken, damaged, cracked, with this new one. 1 Piece Front Glass Touch Screen Digitizer. 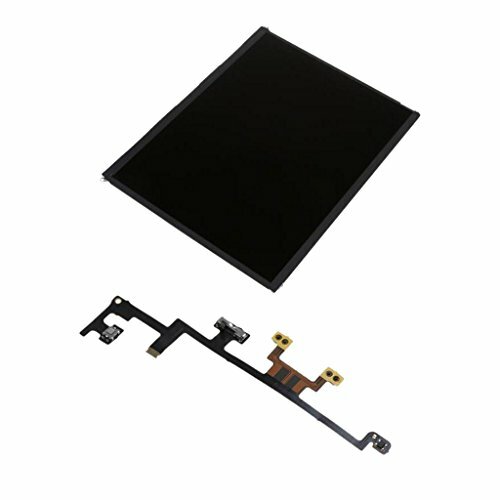 1 Piece Power Volume Button Key Flex Cable. Function:Power Switch, Volume Bottons, Silent / Mute Switch,Flex Cable. Compatible with iPad 3 iPad 4 4th, Size: 205*165mm/8.07*6.5inch. Replacement your broken, damaged, cracked, with this new one.